Critical Care Franchise in Rajasthan- According to a survey, nearly 1214 road crashes happen every day across in India. Over 1.37 lakh people lost their lives during the road accidents in India yearly. The major cases are of Rajasthan’s district Jaipur including Delhi, Mumbai, Uttar Pradesh etc. Under these kinds of circumstance, there is quite a need for Critical Care/Intensive Care Medicine. These intensive care medicines help a lot to save someone’s life-threatening condition. Therefore we, Kritikos Care introduce the Critical Care Franchise in Rajasthan to save lives. Kritikos Care is the leading critical care medicine franchise company in India. We are a well popular name in Rajasthan. We, Kritikos Care continuously maintaining our name in the list of top critical care companies from the very first day by delivering the finest and flawless quality of Intensive care drug range for Critical Care Franchise in Rajasthan, Haryana, Punjab and in other states of India. In our own GMP and WHO certified manufacturing plant, we shape our every critical care product as per the DCGI guidelines. We always welcome the medical professionals and newcomers to be our pharma franchise partners. Kritikos Care provides the best back support along with many unique business benefits and rewards. This helps our Critical Care PCD Pharma Franchise associates to grow and deepen the roots in the pharma marketplace. 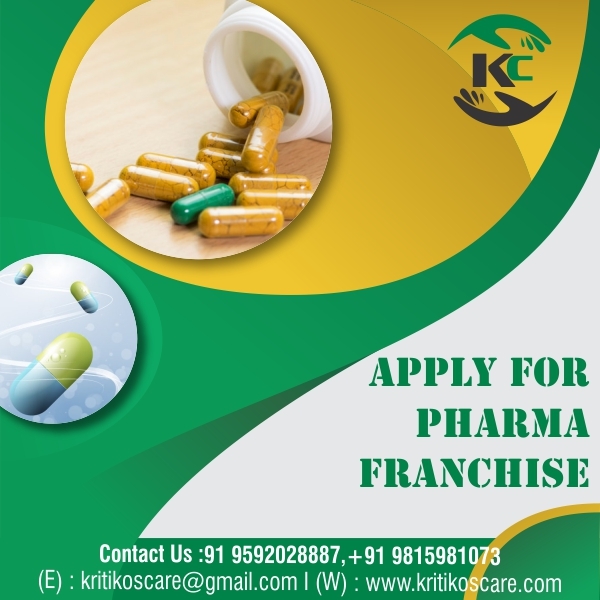 To know more regarding the PCD Pharma Franchise in Rajasthan, you can contact us at +91-9592028887, 9815981073 or write to you us on kritikoscare@gmail.com. Our critical care franchise company has all the essentials and material to help our PCD franchise partners grow better. From the beginning of our company, we aim to provide you with the best support for quality drugs and marketing support from our end as well. We are always going forward with a positive attitude and behavior. Here are some of the benefits that make us different for other Critical Care Franchise in Rajasthan. On-Time Delivery- We, Kritikos Care are committed to delivery all the intensive care/critical care medicine on time. Our highly reliable logistics helps a lot to keep our promise and never let us go down for well packed and timely delivery of all the drug range. Promotional and Marketing Benefits- Our company provides a variety of promotional and marketing tools to our pharma franchise associates like Visual aid, Calenders, Key Chains, Notepad etc. We always guide them with the best technique to follow to grow themselves better in the critical care pharma marketplace. 100% Customer Backup Support: Our pharma franchise company for critical care medicine provides 24×7 to assist to our valued customers. We, Kritikos Care are able to deliver the variety of drug range to our esteemed customers with the help of our vast infrastructure facility. All products pass through the quality test to ensure that the best quality medicine range is available for everyone. Our quality assurance team keeps the quality of every product strictly checked. For Critical Care Franchise in Rajasthan, we introduce a wide range of Ampule, Vial, Capsule, Infusion, and Injection. Kritikos Care has a strict quality policy that is well supported by its fully integrated manufacturing and infrastructure process. For the production of our formulations, we use the best quality chemicals and raw material. Our well-trained and experienced staff ensure that no mean will affect the quality of our products. The pharma franchise company is committed to providing the best quality molecules at the best price to its associates. Our company’s quality control system ensures that only products of the best quality reach to our Rajasthan customers. Kritikos Care is a large-scale provider of the franchise for critical care medicines in India. Our range of medicines and drugs for critical care are made from 100% pure ingredients. Every unit’s quality is highly maintained.